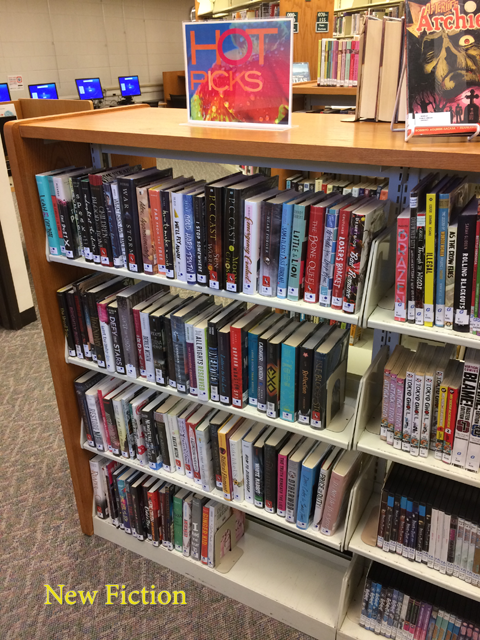 So, right about now you might be wondering where your favorite YA books went. Not to worry, they are close by! The library is undergoing a little interior construction project later this month, and the teen area will be sealed off in the work zone. 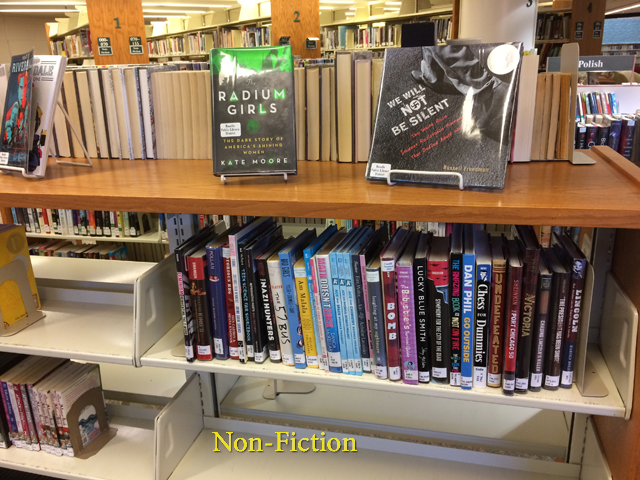 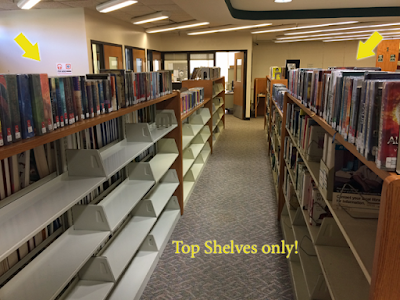 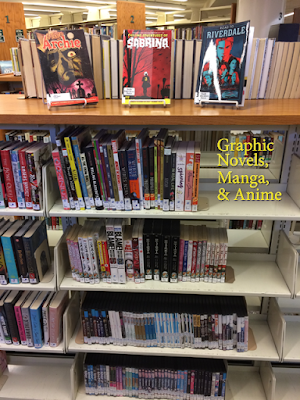 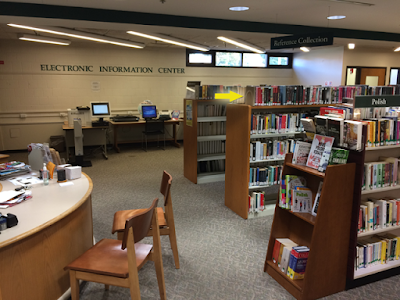 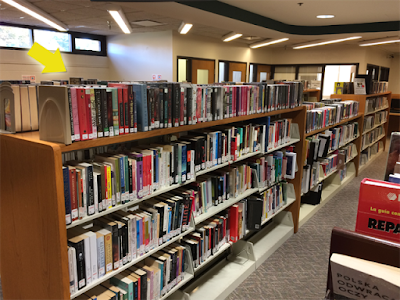 We've moved many of our most popular books over to the section next to the Reference Desk. 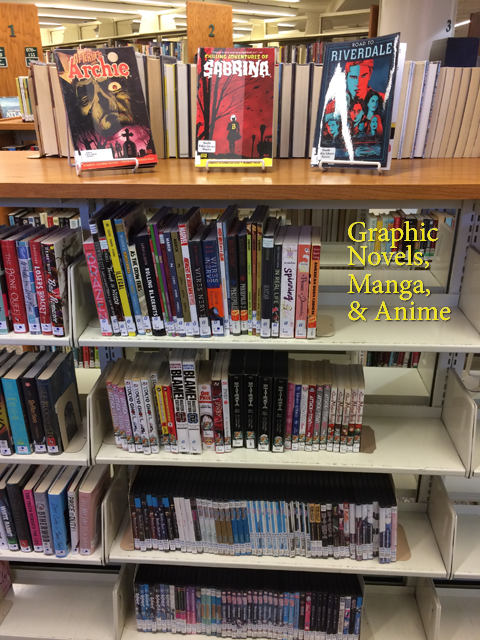 Let's take a visual tour!